عندما تزور برومى, ستشعر أنك في بيتك في BroomeTown B & B Hotel الذي يقدم لك إقامة متميزة و خدمات عظيمة. يمكن من هنا للضيوف الاستمتاع بسهولة الوصول إلى كل ما تقدمه هذه المدينة النابضة بالحياة. سوف يعشق النزلاء موقع هذا الفندق، فهو قريب من أهم المعالم السياحية في المدينة كمثل ‪Sacred Heart Church‬, كورت هاوس, ‪Our Lady Queen of Peace Cathedral‬ . إن الخدمات الممتازة وحسن الضيافة العالي في BroomeTown B & B Hotel تجعل إقامتك تجربة لا تنسى. يمكن لضيوف الفندق الاستمتاع بالميزات التالية على أرض الفندق: صف السيارات, التوصيل من وإلى المطار, جولات, خدمة غسيل الملابس . بالإضافة لهذا,تتضمن كل غرف الضيوف مجموعة واسعة من وسائل الراحة . بعض الغرف توفر حتى تلفزيون بشاشة مسطحة, اتصال لاسلكي بشبكة الإنترنت (مجاني), غرف لغير المدخنين, مكيف هواء, تدفئة لإرضاء أكثر الضيوف تطلباً. يمكنك الاستمتاع بالأجواء المريحة التي تقدمها حمام سباحة خارجي, تدليك, حديقة طوال النهار. مهما كانت دواعي سفرك فإن BroomeTown B & B Hotel هو خيار ممتاز لإقامتك في برومى. You'd be very hard to please if you didn't enjoy this place. 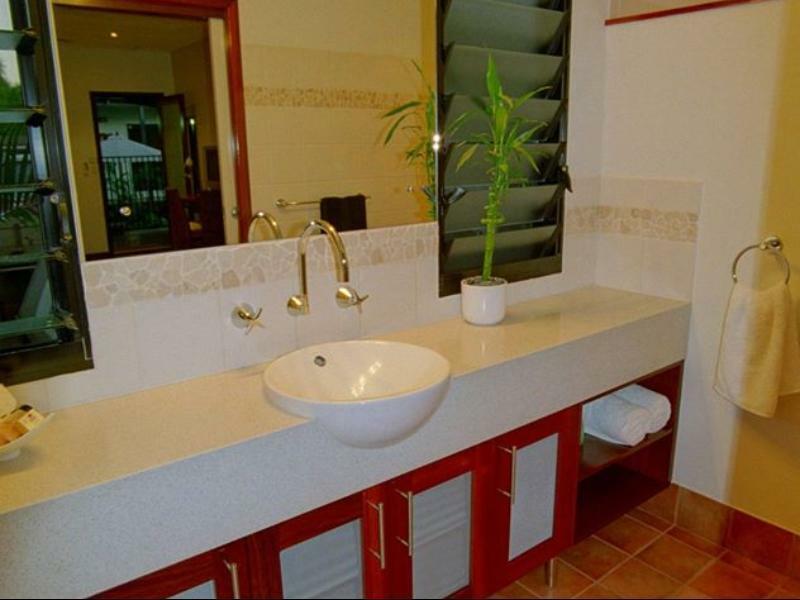 Extremely well appointed with a very accommodating host, as well as being handy to the main centre and airport. We would happily stay again. Had a lovely time here. The rooms were spacious and really comfortable with everything we needed including robes and beach towels. Great continental breakfast served out on the deck. Richard was super friendly and helpful. 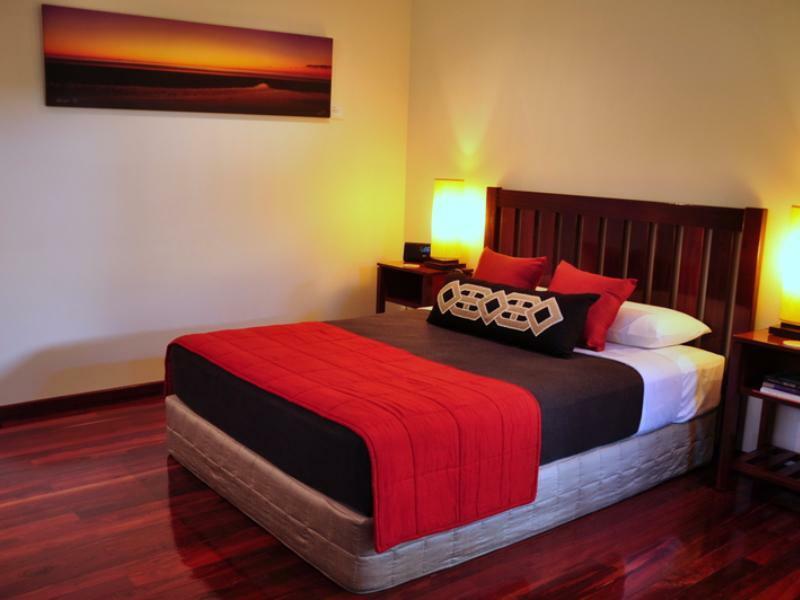 Will definitely be staying at Broome Town BnB the next time I'm in Broome. Everything is excellent though the kitchen is only a BBQ, sink and microwave. Well located for those who are on foot or wish to go about by bike. Close to Chinatown and most shops and restaurants within walking distance. There is a breakfast area which can be used for a lounge or for your own BBQ meals in the evening. Richard is very helpful and always willing to stop for a chat. A little slice of heaven in Broome. We received a warm welcome and were treated like close friends. Breakfast was amazing and gave us a wonderful start to our day. Would definitely stay there again.